Since my childhood, I have felt a pastoral calling. The idea of seminary was at the back of my mind as I went through my 20's, learned more about myself, and developed spiritually. Over ten years ago, I married my wife and over the past few years, we have seriously discussed seminary. With the blessing of several priests, my bishop, and many other spiritual mentors whom I have had the privilege of knowing over the years, I have applied to St. Tikhon's Orthodox Theological Seminary and will begin my studies in late August 2018. My wife and I moved in early August from North Carolina to Pennsylvania. Upon graduating, I plan to serve as a priest in the Orthodox Church of America in the Diocese of the South. While I am in seminary for three years pursuing a Masters of Divinity, I will be in school full time and participating in internships over the summers. That leaves little time for working a paying job, which makes things difficult since I have been the primary bread winner for our family. St. Tikhon's offers their M.Div program at an extremely reasonable price of $3,880 per year for tuition and other related expenses. My home parish has already pledged to cover our first year’s tuition, but we still need help with other costs such as housing (about $7,900/year), utilities, groceries, and other living expenses. My wife, Mai Lei, will continue her work as an artist and jewelry maker, which will help pay for some of our expenses. Her site can be found here: Woodland Belle . My heart has always been in outreach and supporting people on their spiritual journey toward God. 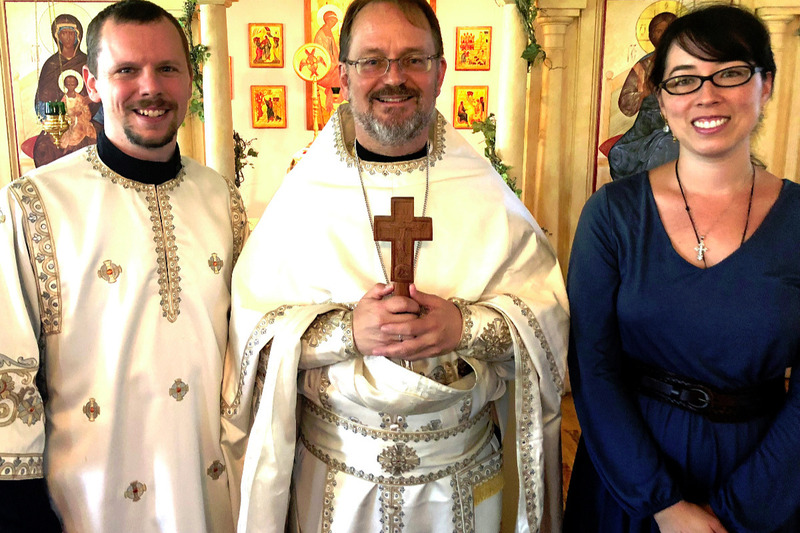 My blog, OrthodoxRoad , gets well over 50,000 views per year, has had articles translated into other languages, and has had articles featured on various Orthodox websites. I began it simply as a way for my curious friends to follow my journey into Orthodoxy. Since then, it has become a beneficial resource to many people and I have received numerous encouraging messages over the years. In 2010, I started and hosted an open spirituality discussion forum called The Open Table that met in various local pubs in downtown Asheville. Over the five years I led it, we had hundreds of members join. I also have been involved in various prison ministries and a homeless outreach over the years. When I was in college, I talked to my spiritual mentor about my desire to go into the ministry, but my uncertainty of how that should look made me hesitate. His advice to me: "Don't be afraid to work toward a successful career while you're trying to figure this out, that way when the time comes, you will have something to offer to God as a sacrifice." And that is where I am today. I have had a successful career in the insurance and construction industries and am giving it up to pursue the pastoral calling that God has laid on my heart. During these three years, I ask first of all for your prayers. Anything worthwhile always comes with some resistance. The seminary life is demanding and I cannot do it without the prayerful support of my brothers and sisters. Secondly, I ask, if you are able, for your financial support as well. Either a one-time gift, or a recurring monthly gift would be extremely helpful.